1. Legally, I do not have a middle name. Hey, I was a preemie. I was lucky I got a first name. Even though I don’t have a middle name on my birth certificate, my father always called me Stephanie Lyn. 2. I am a total city girl! And the bigger the better. My husband, on the other hand, loathes big cities. 4. I grew up in the same house my grandmother grew up in. 5. I danced from the age of 2 until I was 13. When I stopped, I was dancing competitively. Dance Moms were not as bad back then! 6. I’ve seen ever episode of every Law & Order, Law & Order: SVU, and Law & Order: Criminal Intent. And I’ll rewatch them over and over again. Especially SVU. Mmm… Detective Stabler. 7. I hate feet. Hate them. Baby feet? They are ok. But 5 year old feet and older? Yuck! Get them away from me! 8. I just had my very first massage ever 2 weeks ago. Why the hell did it take me so long to get one? 9. I broke my collarbone when I was 12. Doing a somersault. Which ended with me crashing into an entertainment center. Worst. Summer. Ever. 10. My very first concert was Paula Abdul and, wait for it, Color Me Badd! And just in case you want to know a little bit more about me, here’s another 10 things you should know about me! Now, I want to know 10 things about you! Make sure you link up below. 1. I am passionate about my morning coffee- and desperate, like I have been known to hide k- cups when we are running low. Just to make sure I don’t get shut out. 2. Before I was a special needs mom, I was really fun- now I am just kinda fun. 3. I am 6ft tall. 5. I recently learned a hard lesson, sometimes people don’t do the right thing- even when it comes to the well being of a child. 6. I just DVR’d Debbie macombers cedar cove premiere on Hallmark , and yeah, I know it’s total shallow chick lit. 10. This is my first blogging event! Whew! This was hard! Anyone who knows me knows I, too, am passionate about my morning coffee! Love it! 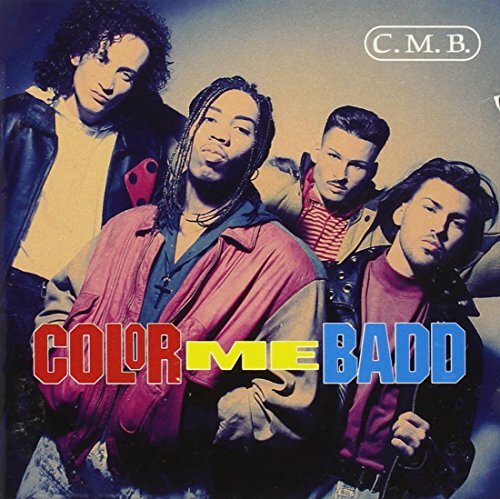 Color Me Badd…Blast from the past! And, I HATE FEET TOO! I do it all for love! My little sis is a Stephanie Lynn too, but her middle name is official. 🙂 I don’t know if it’s any better but my first three concerts were The New Kids On The Block. OMG My first concert was Paula Abdul and Color Me Badd too!!!!!! From what I remember it was a pretty good show! Very interesting. 😉 I loved SVU too and nope I don’t have a middle name either. I had my first massage a few months ago…still trying to figure out how I can get back to have another one. I booked another one before I left to ensure I got another one! Love this! Massages are the BOMB. I’m totally trying to schedule one for myself this week before my mom leaves. I hate people TOUCHING my feet. YUCK. I love detective Stabler. Loved this post. The massage was heavenly. Definitely doing it again! Lol @ not having a middle name! We tease my BIL that he doesn’t have one. I used to hate not having one but now I think it makes me unique! I love this. Will have to write one and link up later on. Great to learn a few interesting facts about you. Can’t wait to learn a little more about you! Well, I TOTALLY agree with you on feet, just, ewwwww. I’m in awe about the Law & Order thing. I watched about a decade of shows then got distracted with raising kids, lol. How did you manage to see them all??? Oh, that Stabler is YUMMY. I have been a die hard L&O Fan for years….lately I’ve been missing it. Need to get it on the calendar so I don’t miss it anymore! You’re a leftie?! Me too! I now like you even more. I think I’ll do a video to share my 10 things. You’ve inspired me. See you in Chicago! Oh I want to do this!!!! Stephanie, I loved learning these 10 things about you. You are really an interesting and fun person. Ooooo… ammunition for the next time I see you. I’m gonna totally wear flip flops to see you freak out over feet! I’ve got SVU and Criminal Intent covered, but need to wrap up watching the original. I love them! Welcome to A Grande Life where we create family memories through food, travel, and fun! Learn more about us.